"Islam" means "Peace through the submission to God". "Muslim" means "anyone or anything that submits itself to the will of God". Islam is not a cult. Its followers number over 1.5 billion worldwide. Along with Judaism and Christianity, it is considered to be one of the three Abrahamic traditions. There are five pillars of practice in Islam. These practices must be undertaken with the best of effort in order to be considered a true Muslim: A) Shahadah - declaration of faith in the oneness of God and that Muhammad is the last prophet of God. B) Formal prayer five times a day. C) Fasting during the daylight hours in the month of Ramadan. D) Poor-due "tax" - 2.5% of one's savings given to the needy at the end of each year. E) Pilgrimage to Mecca at least once, if physically and financially able. There are six articles of faith in Islam. These are the basic beliefs that one must have in order to be considered a true Muslim. They are belief in: A) the One God. B) all the prophets of God. C) the original scriptures revealed to Prophets Moses, David, Jesus, and Muhammad. D) the angels. E) the Day of Judgment and the Hereafter. F) the divine decree (or destiny). Islam is a complete way of life that governs all facets of life: moral, spiritual, social, political, economical, intellectual, etc. Islam is one of the fastest growing religions in the world. To become Muslim, a person of any race or culture must say a simple statement, the shahadah, that bears witness to the belief in the One God and that Prophet Muhammad was the last prophet of God. "Allah" is an Arabic word that means "God". Muslims also believe that "Allah" is the personal name of God. Allah is not the God of Muslims only. He is the God of all people and all creation. Just because people refer to God using different terms does not mean that they are different gods. Spanish people refer to God as "Dios" and French people refer to God as "Dieu", yet they are all the same God. Interestingly, most Arab Jews and Arab Christians refer to God as "Allah". And the word Allah in Arabic appears on the walls of many Arab churches. The Islamic concept of God is that He is loving, merciful, and compassionate. But Islam also teaches that He is just and swift in punishment. Nevertheless, Allah once said to Prophet Muhammad, "My mercy prevails over my wrath." Islam teaches a balance between fear and hope, protecting one from both complacency and despair. Muslims believe that God has revealed 99 of His names (or attributes) in the Holy Qur'an. It is through these names that one can come to know the Creator. A few of these names are: the All-Merciful, the All-Knower, the Protector, the Provider, the Near, the First, the Last, the Hidden, and the Source of Peace. Muslims believe in and acknowledge all the prophets of old, from Adam to Jesus. 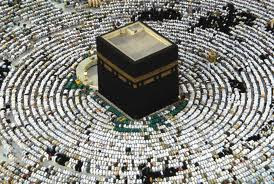 Muslims believe that they brought the message of peace and submission (islam) to different peoples at different times. Muslims also believe that these prophets were "muslims" because they submitted their wills to God. Muslims accept the original unaltered Torah (the Gospel of Moses) and the original Bible (the Gospel of Jesus) since they were revealed by God. However, none of those original scriptures are in existence today, in their entirety. Therefore, Muslims follow the subsequent, final, and preserved revelation of God, the Holy Qur'an. The Holy Qur'an was not authored by Muhammad. It was authored by God, revealed to Muhammad, and written into physical form by his companions. The Holy Qur'an has no flaws or contradictions. The original Arabic scriptures have never been changed or tampered with. Actual seventh century Qur'ans, complete and intact, are on display in museums in Turkey and many other places around the world. If all Qur'ans in the world today were burned and destroyed, the original Arabic would still remain. This is because millions of Muslims, called Hafiz (or "preservers") have memorized the text letter for letter from beginning to end, every word and syllable. Also, chapters from the Qur'an are precisely recited from memory by every Muslim in each of the five daily prayers. Muslims do not believe in the concept of "vicarious atonement" but rather believe in the law of personal responsibility. Islam teaches that each person is responsible for his or her own actions. On the Day of Judgment Muslims believe that every person will be resurrected and will have to answer to God for their every word, thought, and deed. Consequently, a practicing Muslim is always striving to be righteous. Islam was not spread by the sword. It was spread by the word (Islamic teachings) and the example of its followers. Islam teaches that there is no compulsion in religion (the Holy Qur'an 2:256 and 10:99). Terrorism, unjustified violence and the killing of innocent people are absolutely forbidden in Islam. Islam is a way of life that is meant to bring peace to a society, whether its people are Muslim or not. The extreme actions of those who claim to be Muslim may be, among other things, a result of their ignorance or uncontrolled anger. Tyrant rulers and those who commit acts of terrorism in the name of Islam are simply not following Islam. These people are individuals with their own views and political agendas. Fanatical Muslims are no more representative of the true Islamic teachings than Timothy McVeigh or David Koresh are of Christianity. Extremism and fanaticism is a problem that is common to all religious groups. Anyone who thinks that all Muslims are terrorists should remember that the famous boxer Muhammad Ali, perhaps the most celebrated person of our era, is a practicing Muslim. The word "jihad" does not mean "holy war". Instead, it means the inner struggle that one endures in trying to submit their will to the will of God. Some Muslims may say they are going for "jihad" when fighting in a war to defend themselves or their fellow Muslims, but they only say this because they are conceding that it will be a tremendous struggle. But there are many other forms of jihad which are more relevant to the everyday life of a Muslim such as the struggles against laziness, arrogance, stinginess, or the struggle against a tyrant ruler or against the temptation of Satan, or against one's own ego, etc. Islam grants women numerous rights in the home and in society. Among them are the right to earn money, to financial support, to an education, to an inheritance, to being treated kindly, to vote, to a dowry, to keep their maiden name, to worship in a mosque, etc., etc. Muslim women wear the head-covering (hijab) in fulfillment of God's decree to dress modestly. From a practical standpoint, it serves to identify one as attempting to follow God in daily life and, therefore, protects women from unwanted advances from men. This type of modest dress has been worn by righteous women throughout history. Prominent examples are traditional Catholic Nuns, Mother Teresa and the Virgin Mary, mother of Jesus.